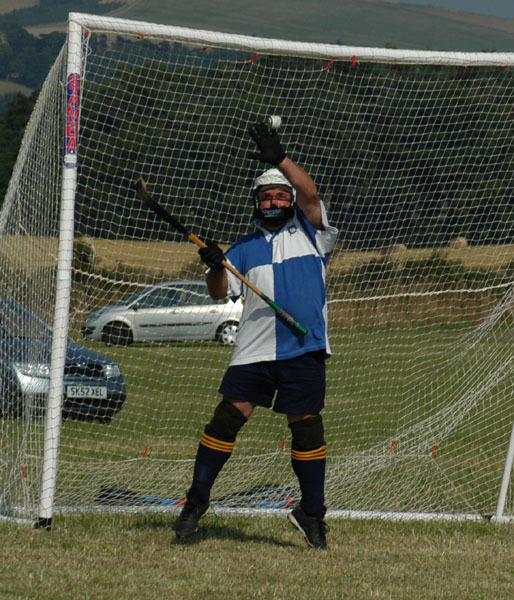 The goal-keeper (or just keeper) in Shinty has several unique challenges. He is guarding a goal that is 10 feet high and 12 feet wide, he must be proficient with his hitting and blocking, and and having quick reactions is a good thing too. The keeper in Shinty has no way to create a dead ball except to put the ball out of bounds (which is legal) and either cede a corner (by putting it over the end line), or a shie (putting it over the touch or side line). Some small compensation is the keeper is the only player allowed to use their hands, but only with an open handed block or slap. An example of this can be seen above on the left. 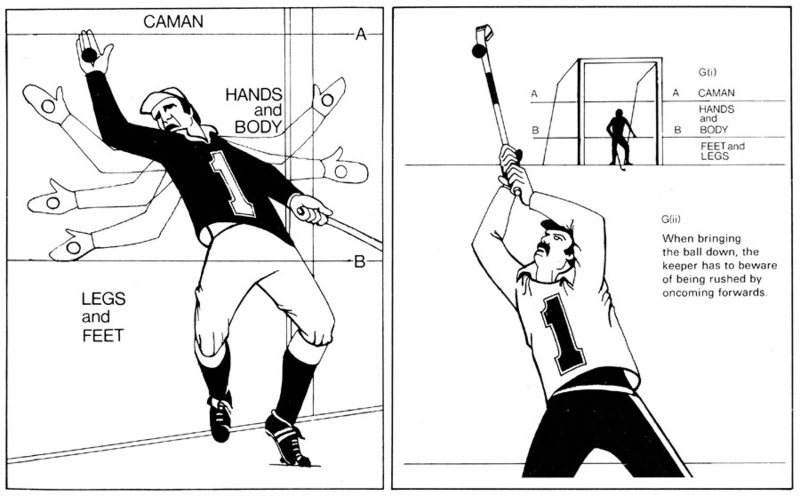 For shots in the upper portion of the goal the keeper must use his caman to make the block. 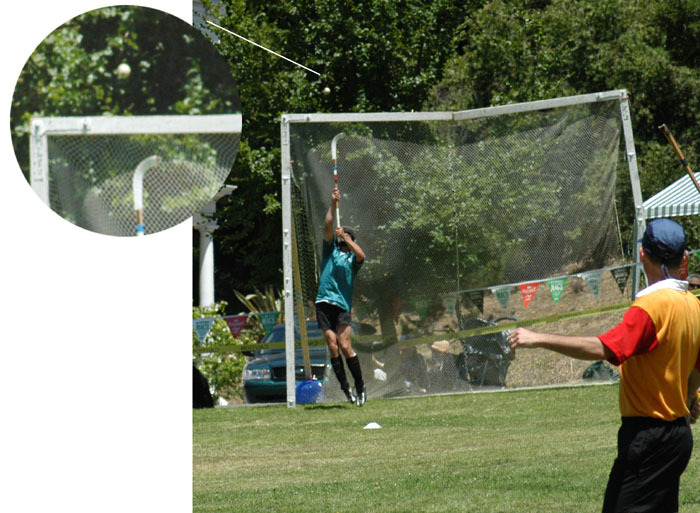 On the right you can see a perfectly placed shot dropping into the top corner and the keeper attempting (in vain, it turned out) to make the stick-block. The keeper will often use his body or feet to make stops as well. Below is a diagram from the Camanachd Association Coaching Manual published ca. 1980 which will help clarify the use of hands and feet by keepers.